Need On-Demand Telecom Engineers & Technicians? If you have found it difficult to hire engineers for temporary, part-time or long-term positions, then you have found a very important web page. On this page, you’re going to discover more about FieldEngineer.com a digital platform with two goals. Help companies find qualified telecom engineers anywhere on the planet … while reducing labor costs up to 30%. Attract the world’s top engineering talent … and introduce them to the world’s top companies. If you’re a business, looking for telecom engineering talent, then FieldEngineer.com is the first place you should look whatever your need … whatever your location. And you can start searching in the next 20 minutes. FieldEngineer.com is super-simple to Use … and created to help you find the talent you need to succeed … Simply click the “PLAY” button right now for a tour of the platform. Talented engineers from around the world apply to be listed on FieldEngineer.com … 40,000 engineers have signed up thus far. They are pre-screened for felonies and drug use. Once accepted, the engineers list their skill set, experience, and related information. When you need an engineer, you enter a posting on FieldEngineer.com … this takes about 20 minutes. Engineers contact you through FieldEngineer.com and you can select the talent that best suits your needs. Then you communicate with the engineers through FieldEngineer.com and get the work completed. You can use FieldEngineer.com to find part-time, temporary, and full-time engineers. Your company deposits the amount for payment through our secure platform. Payment is then made directly to the engineer through FieldEngineer.com. We have set up FieldEngineer.com to handle different currencies around the world. Business Customers … that’s you … pay NO additional platform fee for using FieldEngineer.com … thus potentially saving you tens of thousands of dollars in head-hunting fees. FieldEngineer.com charges a small percentage to the engineer for each project. You don’t have to worry about payroll, invoicing, and payment because FieldEngineer.com takes care of everything related to payment. Malik founded FieldEngineer.com in 2015. He drives the company’s vision, strategy, and growth as the company provides interesting and unique ways for engineers to work in the telecom industry. He seamlessly embraces world-class imperatives and technically sound best practices. He is a serial entrepreneur, computer engineering graduate, and is a student of Harvard Business School, Executive Education Program. An enterprise application architect, Kaushik has designed and built several award-winning portals and platforms. He brings 20+ years of scalable web app expertise to FieldEngineer.com. Thales S. Teixeira is a chaired Associate Professor at Harvard Business School. His research is on digital disruption. His clients include large companies such as Microsoft, Nike, BMW, and Unilever. He is also an advisor to multiple tech startups. fully-qualified, experienced, and fully vetted engineers and technicians. whether it’s one engineer or a team of several technicians. 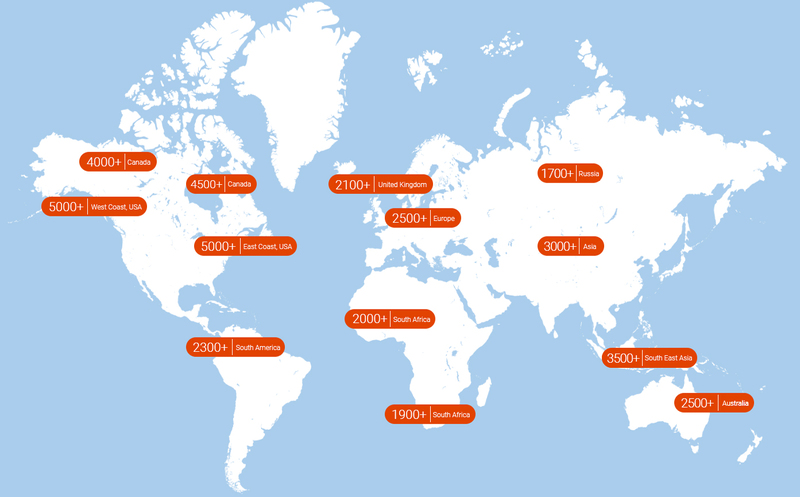 we’ve fulfilled 20,000+ orders for 100+ businesses with a presence in 170+ countries. password-protected and created using the same security technology employed by the world’s largest companies. Confidentiality is assured so your competitors don’t know who is posting. Over 40,000 talented professionals in South America, Africa, Europe, and APAC regions. FieldEngineer.com provides you and your team with dedicated teams available to help you with your projects and customer support. FieldEngineer.com completes full drug and felony background checks on all candidates. We even double-check their qualifications. You can read reviews about our engineers from companies who have hired them. You know precisely who you are hiring. 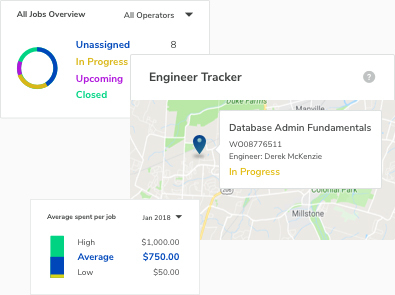 FieldEngineer.com helps you manage your talent more efficiently by avoiding costly employment packages and downtime inefficiencies. You can engage telecom talent locally or remotely, worldwide, on your schedule, budget and terms. in just a few hours. When your in-house team can’t meet demand instantly, FieldEngineer.com is there for you. No need to advertise for candidates or deal with recruitment firms. Find a contractor, agree on terms, and get them working on your project. thanks to the employer dashboard. You can quickly find available talent based on geography and budget. Then you can easily manage talent and projects. 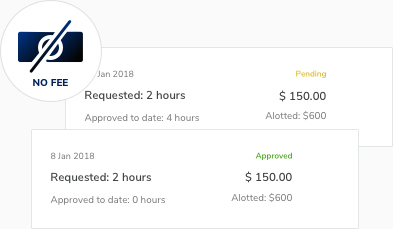 FieldEngineer.com even automates several administrative tasks, giving your team time for other more important work. FieldEngineer.com gives you the flexibility to find part-time and temporary talent. It also helps you find engineers for long-term positions, talent without paying fees to employment agencies and head hunters. Use FieldEngineer.com for temporary help, as well. FieldEngineer.com is available in two easy-to-use versions for desktops and smart phones. we created FieldEngineer.com to make accounting easy for your payroll and accounting teams. that’s right … FieldEngineer.com charges no additional fees for employers. Click here now to set up an appointment with a specialist from FieldEngineer.com … so you can discover more about FieldEngineer.com and see if it’s a good fit for your company. 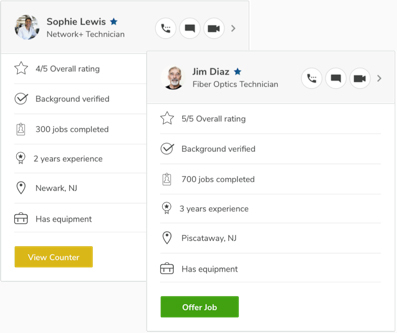 Field Engineer, a new global, on-demand offering for service providers, VARs, MSPs and SIs can connect partners and providers with experienced telecom professionals in minutes to speed time to deployment for voice, networking, cloud and SD-WAN services. You may have questions about FieldEngineer.com … You might be ready to go right now. Contact us here right now and we’ll organize a time for you to speak with one of our specialists. The specialist can answer any questions about FieldEngineer.com to help you get started. You Have a Simple Decision to Make. Are You Going to Make the Right Decision for Your Business? You can harness the power of technology and FieldEngineer.com to help you find engineers quickly and efficiently … and with significantly reduced costs … pretty much anywhere on the planet. Ready to discover more about FieldEngineer.com and how it can transform your business? Click here now to speak with a FieldEngineer.com specialist.